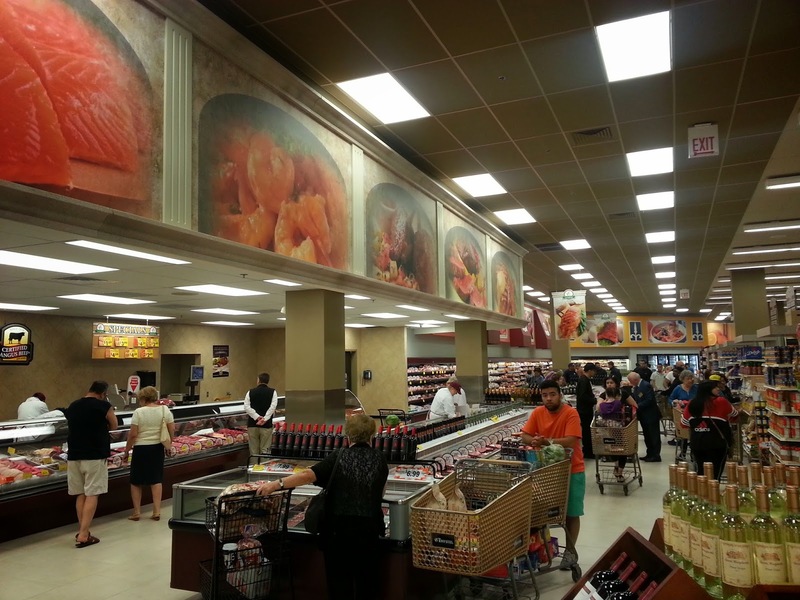 Winnemac Park Neighbors, Ravenswood: Photos: New Tony's Fresh Market opened today! I didn't know what to expect for the Grand Opening of Tony's Fresh Market at 5233 N Lincoln Avenue in northwest Lincoln Square. Walking in was a jolt! Gone is the refined aesthetic with walnut trim of the former Dominick's store. This is now an old school market packed with product. The pharmacy and clinic areas have been removed. In it's place is an expanded meat department. There are dozens of new display tables everywhere. 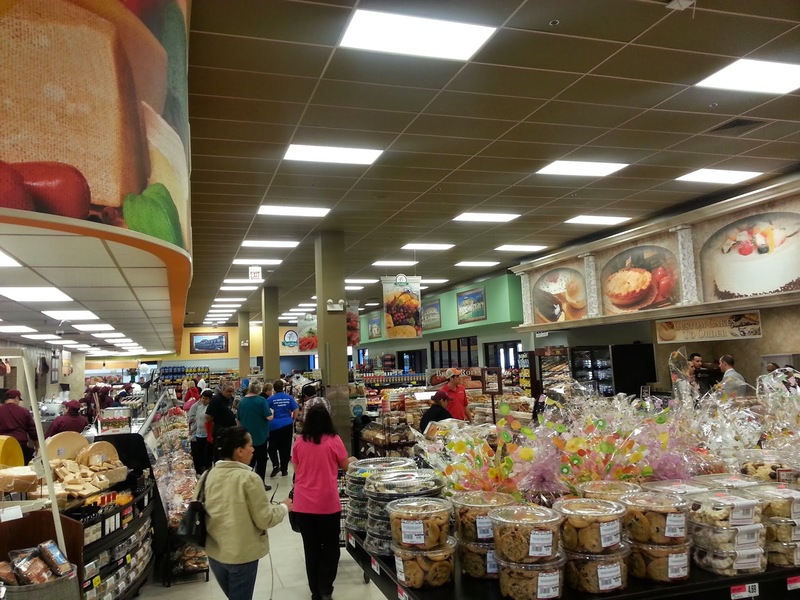 The food selection looks more diverse than the old Dominick's and the prices look in line or a little better on our most of our staple products. I was happy to see really great tomatoes for $0.99 a pound. The meat department is fantastic! It's easy to walk over and pick out quality selections for grilling on a nice day. There are display tables everywhere. Many of Tony's family members and execs were on hand to greet customers. Although I'm not a fan of the new color palate and general look of the store you can tell these guys are here to do business. They maintained the coffee bar area in the front of the store with added gelato and (I think) smoothie drinks. All the specialty counters (deli, meats, fish) look great. Bottom line is the store re-delivers a much needed full service grocer to residents of Lincoln Square, North Park and West Ridge neighborhoods. 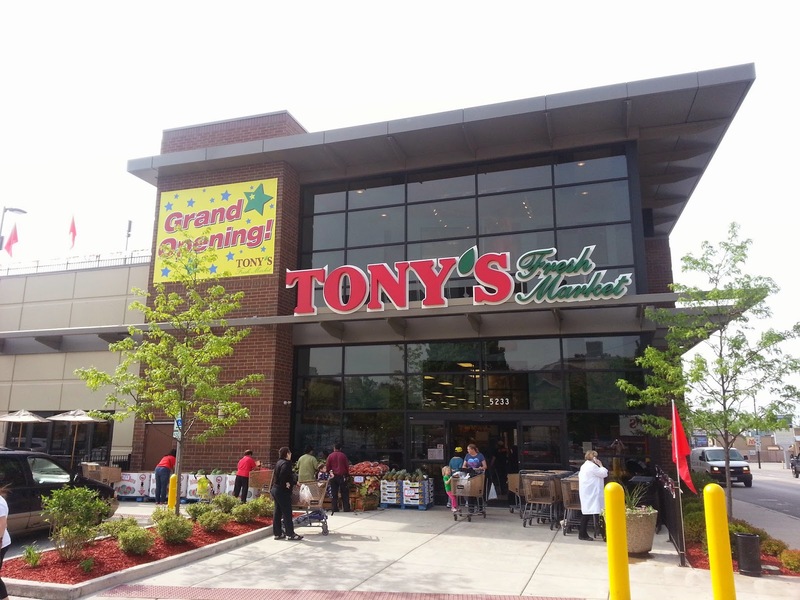 We congratulate the Tony's family on their new store and look forward to shopping there for a long time! 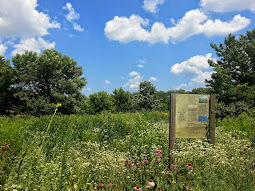 Read about my trip to the grand opening of Mariano's last month.